The demand for quality milk products is increasing throughout the world. Food patterns are changing from eating plant protein to animal protein due to increasing incomes around the world, and the production of milk and milk products is expanding with leaps and bounds. 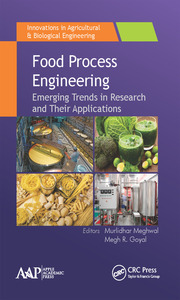 This book presents an array of recent developments and emerging topics in the processing and manufacturing of milk and dairy products. The volume also devotes a special section on alternative energy sources for dairy production along with solutions for energy conservation. In line with the modern industrial trends, new processes and corresponding new equipment are reviewed. The volume also looks at the development of highly sensitive measuring and control devices have made it possible to incorporate automatic operation with high degree of mechanization to meet the huge demand of quality milk and milk products. 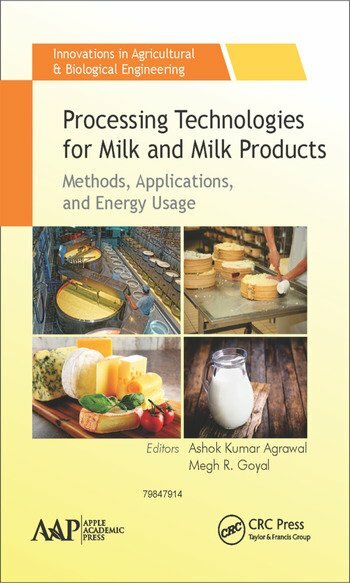 Processing Technologies for Milk and Milk Products: Methods, Applications, and Energy Usage will be a valuable resource for those in those involved in the research and production of milk and milk products. Ashok Kumar Agrawal, PhD, is a distinguished engineer, researcher, and professor of dairy engineering at the College of Dairy Science and Food Technology at Chhattisgarh Kamdhenu University–Durg, Raipur, in India, where he heads the Dairy Engineering Department. He also served as Dean of the college. Dr. Agrawal is also acting as Principal Investigator of the National Agricultural Development Project on the operation of small milk processing plants with the utilization of solar energy. He is a life member of the Indian Dairy Engineers Association, the Indian Society of Agricultural Engineers, and the Indian Dairy Association. His major areas of research are parboiling and storage studies of granular and horticultural crops. He is engaged in the teaching of various dairy and food engineering courses to undergraduate, postgraduate, and doctoral students. He has supervised about 20 students for their research work leading to advanced degrees in dairy engineering and agricultural process and food engineering. He has edited the proceedings of the National Conference on Dairy Engineers for the Cause of Rural India and the 5th Convention of the Indian Dairy Engineers Association. He has published about 60 research papers in national and international journals; 25 research articles in national and international conferences/symposiums as well as some popular articles. 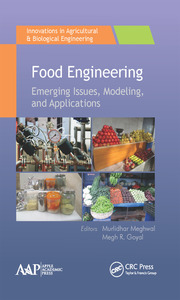 Dr. Agrawal is also a reviewer for some several journal, including the Indian Journal of Dairy Science and the Journal of Food Processing and Preservation. He was conferred a Best Teacher Award by his own university and has received awards for his presentations at many national and international conferences. He obtained his BTech (Agricultural Engineering) degree from the College of Agricultural Engineering, J. N. Agricultural University, Jabalpur, India; his MTech (Postharvest Engineering) degree from the Indian Institute of Technology, Kharagpur, India; and his PhD from the Indian Institute of Technology in Dairy and Food Engineering. In his PhD research, he worked on development of double wall basket centrifuge for pressing and chilling for batch production of Indian cheese (paneer). "This book . . . fulfills a thirst of knowledge about recent developments in processing of milk and dairy products. 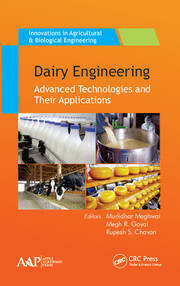 This compendium deals with the salient aspects of milk processing and dairy product manufacturing. The cutthroat competition of the modern era necessitates the knowledge of fundamentals of emerging processes, acquaintance with innovative equipment, and self-assurance over instruments and automatic control systems for commercial processing of milk and dairy products. The task of providing comprehensive information about pertinent topics, more ubiquitous in future milk and dairy product industry is nicely done. The authors and editors deserve accolades for this stupendous work. . . . I am confident that this book will be very useful, as a reference book for researchers and as a source book for teachers. It would be equally useful for all professionals working in various capacities in milk and dairy product manufacturing industry."